Living with autism: Now what? For one out of every 110 children, autism isn’t just a word they hear on the TV or a disorder they might learn about in school, it’s a way of life. With the number of children born with autism up by more than 600 percent in the last two decades, it has quickly become one of the fastest-growing developmental disabilities in the United States. If you are raising a child with autism, your main concern isn’t knowing stats, it’s trying to find ways help him as much as possible. Read on for these tips and new developments that can help you and your child. Learning that your child has autism is life-changing, for both you and your child. One important part of living with autism is helping your child understand what that means for him. 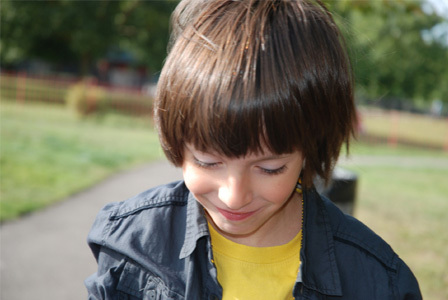 According to Dr. Karen Savlov, an autism expert and family therapist, “a child with autism does the best he or she can to cope with this predicament,” so helping them understand it is one step closer to helping them, and you, learn how to manage it by using treatment options and adjusting your family life. There are plenty of treatment options for you to consider or to research for your child. Since each child with this condition is unique, it’s important to find a treatment plan that works for her learning style and personality. Early intervention, both medicinally and behaviorally, is important so that your child understands her disorder and you understand how to make her feel better about it. According to Autism Speaks, the leading autism awareness website, the top two behavioral therapies for autism are Applied Behavior Analysis and Early Start Denver Model. Here’s some information on both. What is ABA? Applied Behavior Analysis is a scientific approach to understanding behavior and how it is affected by environment. Through countless research and studies, the field of behavior analysis has developed many techniques for encouraging useful behaviors for autistic people and ways to reduce behaviors that can be harmful or interfere with learning. ABA can be used with individuals of all ages, and studies have shown that these techniques can help individuals with autism learn specific social skills, such as how to communicate, work with others, form relationships and participate more fully in society and family life. Every aspect of this kind of treatment is tailored to the individual. To learn more about ABA, visit Autism Speaks. This treatment is tailored to children with autism who are 12 to 48 months old. This model revolves around a developmental curriculum that defines the skills to be taught and teaching methods to deliver them. A study found that children who received this kind of intervention for 20 hours a week over a two-year span had greater improvement in language understanding and cognitive abilities than those who did not. This kind of model works to help children understand language, interpersonal exchanges and communication and works to improve parental involvement and behavior strategies. For more information on ESDM, visit Autism Speaks. These aren’t the only two non-medicinal methods of treatment. Other methods like Floortime, Pivotal Response Therapy and the new treatment by Dr. Karen Savlov, called Attachment Relational Therapy, have also shown successful results with parents, therapists and doctors alike. To find a treatment that works for your child and your family, consult with your doctor and therapist, and browse the full index of research on each treatment here.